It’s no secret how mobile devices have been used to document emergencies. A ferryboat passenger gave the world its first glimpse of the remarkable “miracle on the Hudson” in January 2009 when he uploaded a picture of the floating plane to Twitpic using his iPhone after a US Airways plane made an emergency landing in the Hudson River. Some of the first images of the earthquake and subsequent tsunami in Japan nearly a year ago were distributed through mobile devices. Though useful in those respects, Float senior analyst Dr. Gary Woodill, Ed.D., and Float managing director Chad Udell write in a new environmental scan that smartphones and tablets can be used for so much more than photographic documentation of these emergencies. As recently as just a decade ago, mobile medicine referred to the use of vehicles to transport medical personnel. That definition has changed over the last few years, though, to include apps that are useful for treating patients or having them care for themselves. Within the next five years, using mobile devices in emergencies or training in emergencies will be a work in progress that will change greatly. Mobile devices don’t need to support the latest and greatest app. In an emergency, mobile devices can be used to send and receive alerts and communications through basic SMS, a feature all mobile phones possess. During the terrorist attacks on 9/11 and throughout Hurricane Katrina, citizens demonstrated the value in text messaging. Social media, too, can help reach a mass amount of people in a short amount of time. In fact, some people read about the earthquake that struck in Virginia on Twitter before they felt it. Additionally, mobile communications can be used to monitor elderly people in order help alert caregivers or first responders. Built-in GPS help locate people who are lost, or guide rescuers to a specific location. 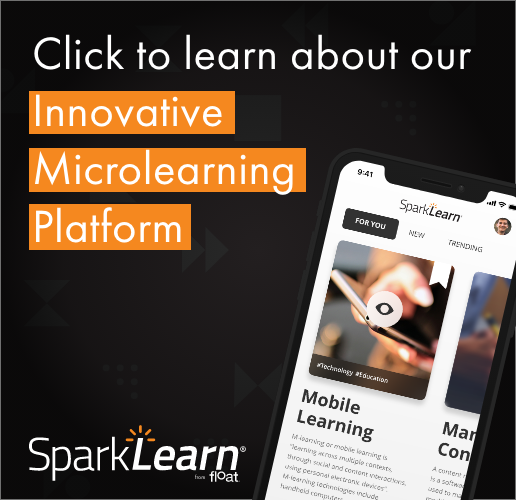 Additionally, mobile devices can be used for mobile learning in the sense that they can simulate situations such as a nightclub fire or a rescue operation at an elementary school. Other types of training include repeated viewings of videos on their device of how to perform CPR and how to use an automatic emergency defibrillator (AED). On the higher end, prototype CPR gloves and cradles train a person to the correct timing and pressure for performing CPR. All of this information is described in detail in the new mHealth research released by Float Mobile Learning, Mobile Applications for Emergencies and Training for Emergencies. For a discounted price, you can download all six of Float’s research related to mobile health.